Sherry started at MVH in 2017. 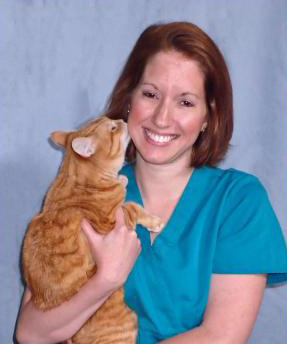 She graduated in 2008 from Gaston College in North Carolina as a Registered Veterinary Technician. She moved to Hampton Roads in 2009 and got her license as a Veterinary Technician. Sherry is married to an amazing animal lover who allows her to have 5 wacky cats; Crazy, Dupie, Charcole, Luna, and Troubles. In her free time, she enjoys photography, art, writing, making jewelry, and doing just about anything creative.